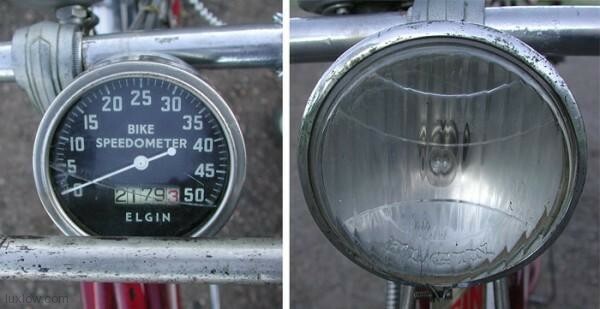 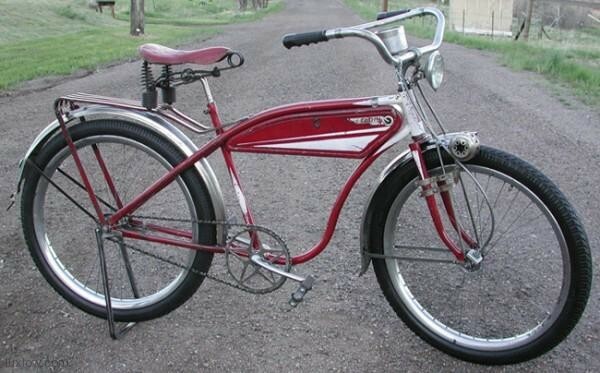 The Falcon was the lesser brother to the Sears Black Hawk, both bikes had a similar look but had different features. 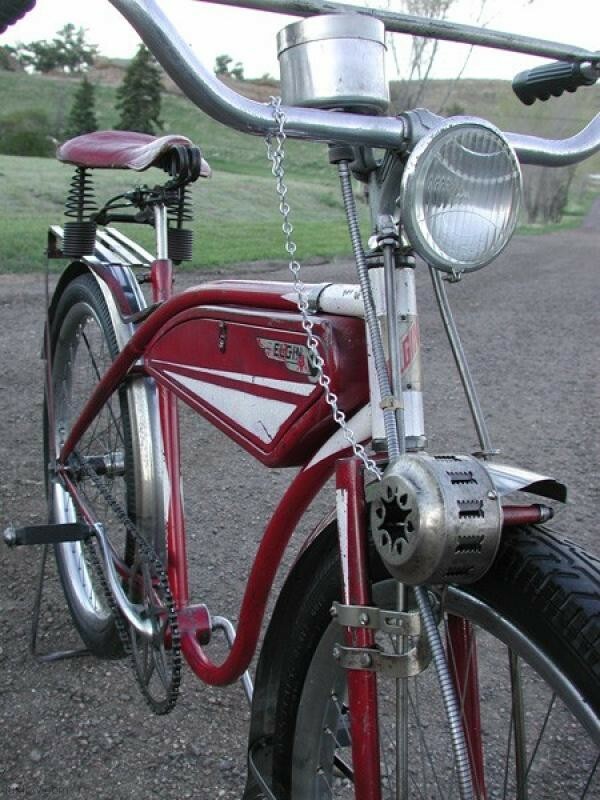 ( mainly horns, lights, and paint ). 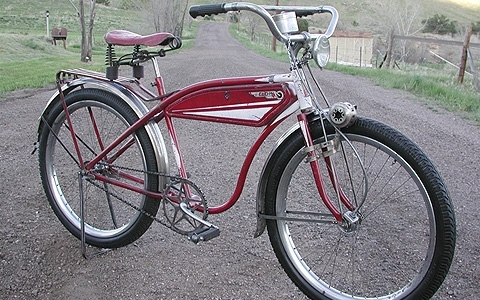 Falcons commonly came with painted fenders, This one came with stainless fenders, which was a option on early Falcons. 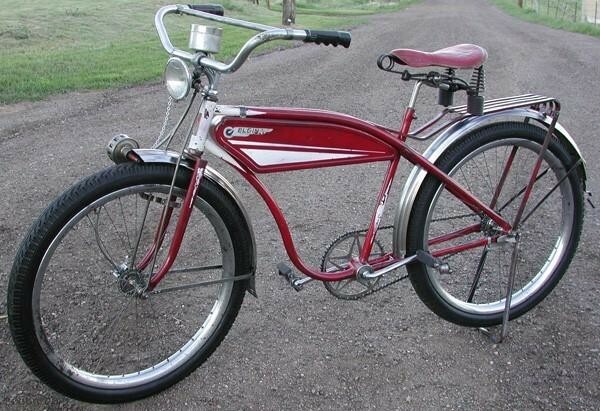 This Falcon has the rare early metal covered wood airwheel ballooner 26″x2.125″ rims laced to early Musselman hubs. 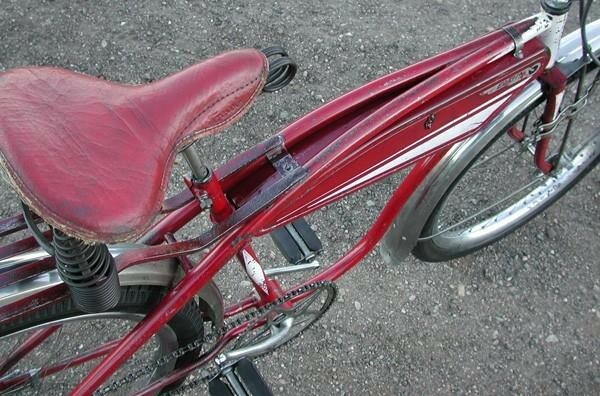 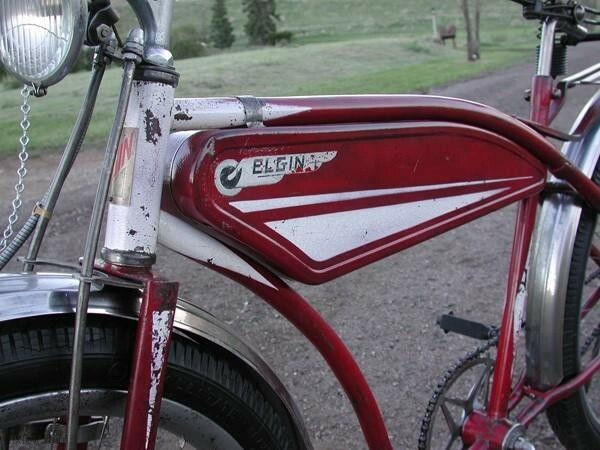 This Falcon is patina restored, completely rebuilt and can be gingerly ridden. 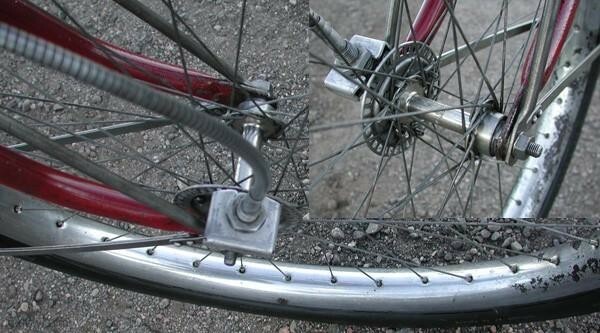 The rare wooden wheels took extensive rebuilding and perform fine now, but with antique wood wheels strongly suggest light usage. 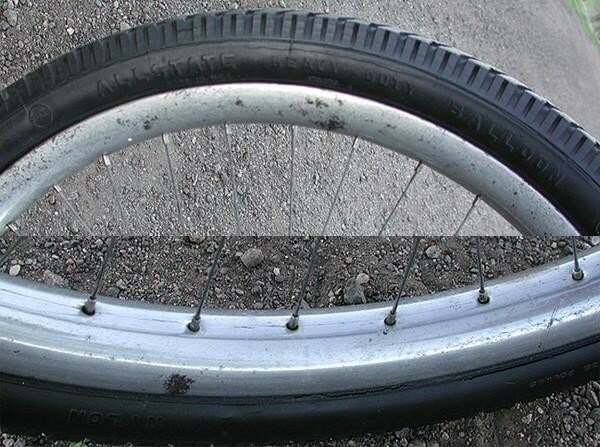 I have some step side balloon tire rims for the bike as an option, if it was to be ridden daily. 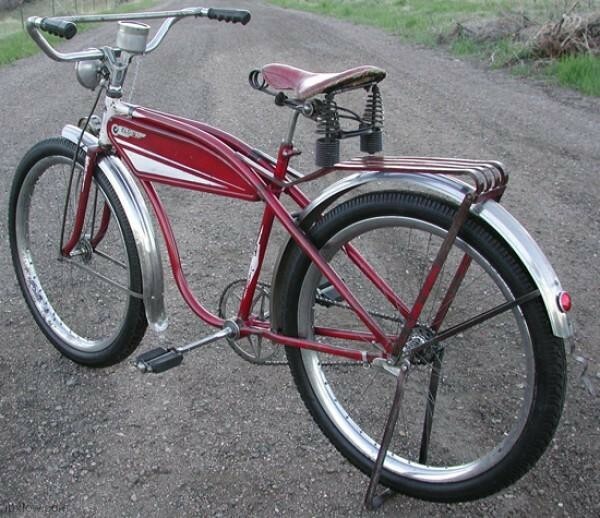 This is a full size men’s adult ballooner bike with 26″x 2.125 wheels and real nice vintage Allstate heavy duty black wall tires. 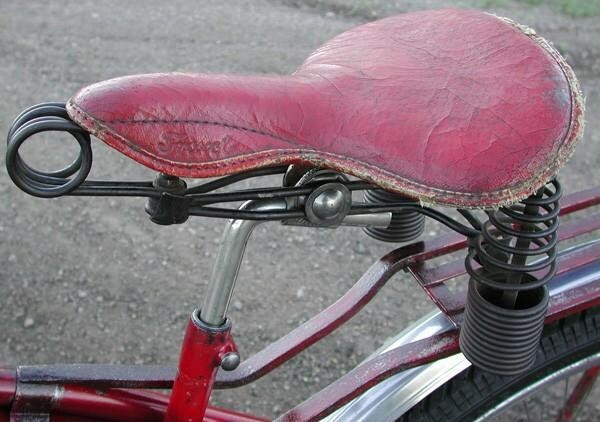 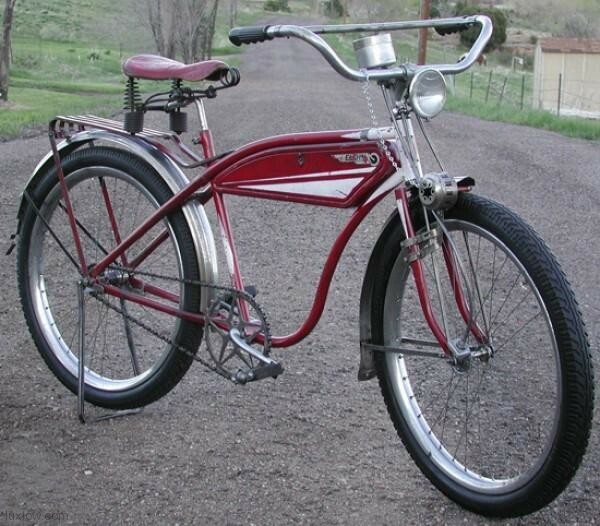 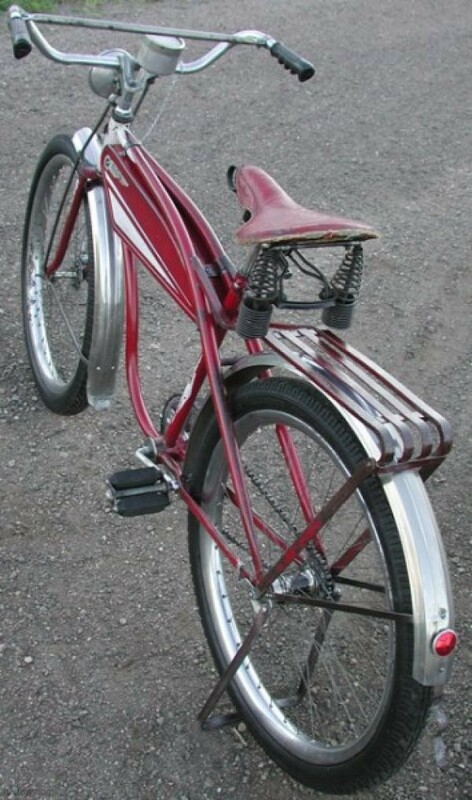 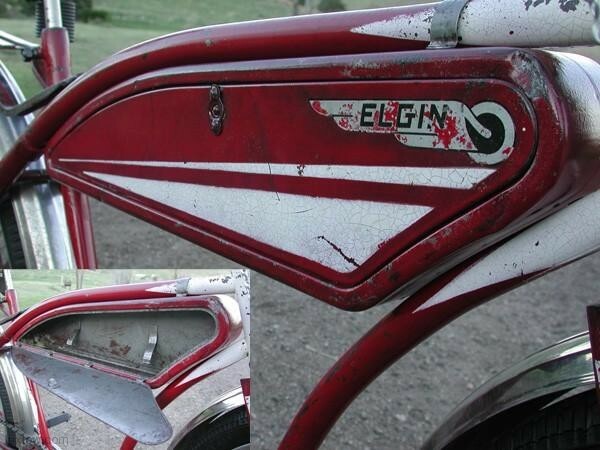 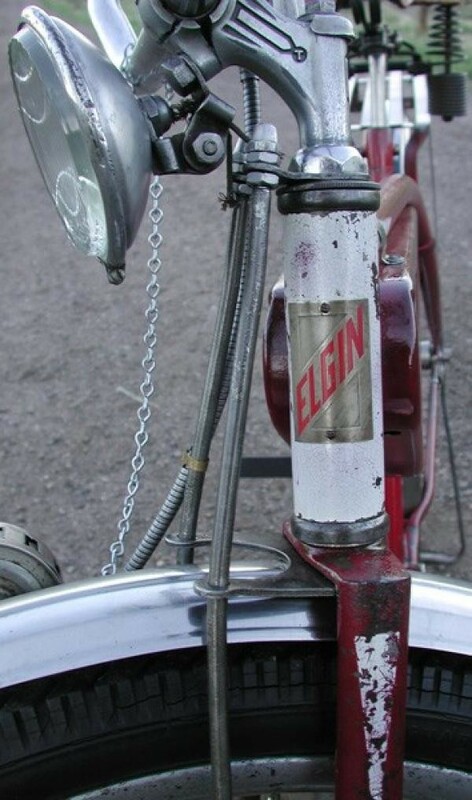 The Sears Elgin Falcon is an amazing example of a prewar ballooner bike and beginning of the fat tire era. 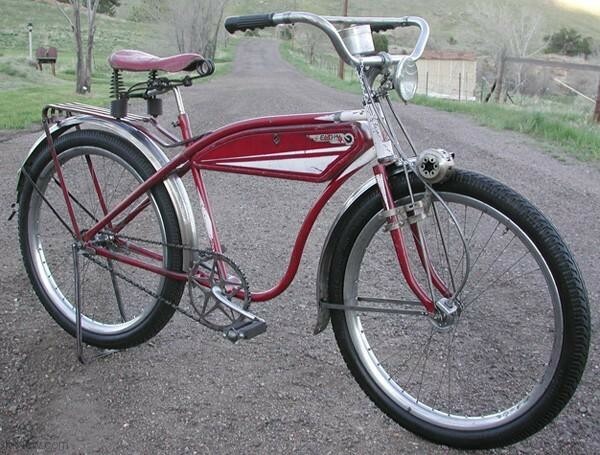 Non Local Sales: You will be billed through Paypal and Shipping is: $200 for this bike to most of the US.